Add volume and length where you need it! Attach a piece is 6 inches wide by 9 inches long. 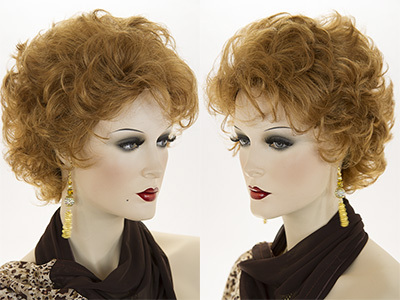 Four wefts of hair sewn in a single piece, which attaches securely with two toupee clips on either side. See item details for available colors. 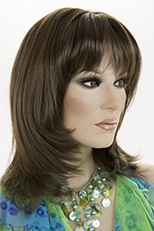 Straight, smooth, shag style wig, with soft layers framing your face. Youthful and flattering to most face shapes! See item details for available colors. is inspired by glamour of the past. 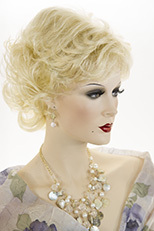 Reminiscent of Jean Harlow and Marilyn. 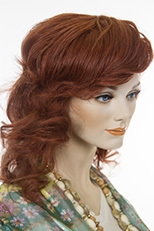 This layered, curly style wig is made from the finest modacrylic Kanekalon fiber of Japanese origin. 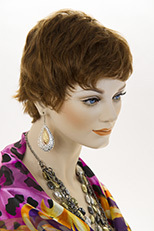 This lovely wig is so light weight and comfortable. 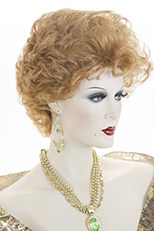 To style, just shake the wig and fluff the curls with your fingers or a pick comb. See item details for available colors.